Esteemed 2GB broadcaster Alan Jones. THE NRL earlier this year asked esteemed 2GB broadcaster to be part of the Immortals judging panel. No big deal and it didn't matter that the old Wallabies coach had such a long and proud history in rugby union. He'd coached the Balmain Tigers, the South Sydney Rabbitohs and has mentored rugby league players and coaches for decades. 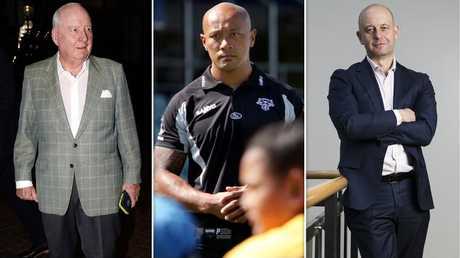 Earlier this year, Jones met with Frank Puletua, the former player and now NRL executive who is in charge of the Immortals, the Hall of Fame and the Dally M Awards. 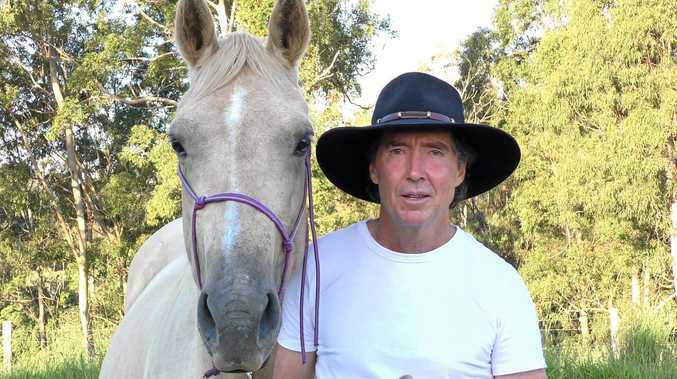 They locked Tuesday, July 31 into their calendars for the get-­together with other judges at Moore Park headquarters to vote for the next two ­Immortals. Jones hasn't heard from anyone at the NRL since the meeting. We are now told he has been taken off the judging panel. It's just that they forgot to tell him. Esteemed 2GB broadcaster Alan Jones, Frank Puletua and Todd Greenberg. I sent Greenberg a text message on Friday and asked: "Can you please confirm Alan Jones was offered a role as an Immortals judge." Obviously Puletua had kept Greenberg in the dark because he replied: "No. 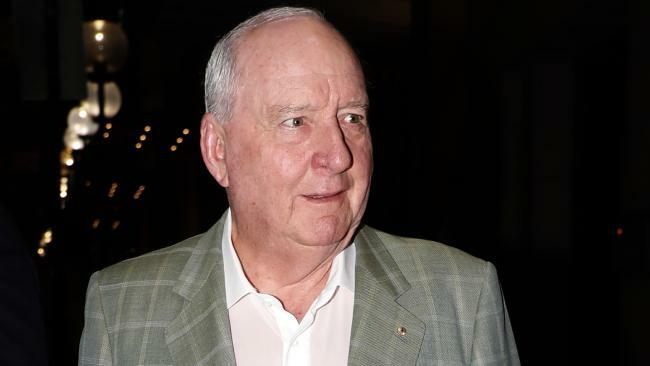 I have never spoken with Alan Jones about being on the Immortals panel." This is just another embarrassing gaffe from what many now regard as the most incompetent sporting administration in the country. A mob that couldn't run a junior league canteen, let alone a multibillion-dollar business. Puletua messaged me on Sunday, claiming: "I sent a note to Alan's EA to inform him we were comfortable with the balance of the immortals selection panel." What he didn't say is that the message was not sent until Saturday afternoon and only after Jones' EA had phoned to get details for the selection meeting. It was left to Jones's staff to tell the broadcaster on Sunday he wasn't wanted. Jones meets regularly with prime ministers, premiers, business leaders and power­brokers. He is the most prominent and influential media personality in the country, bar none. Jones's 2GB stablemate Ray Hadley was on the previous Immortals panel that voted in Andrew Johns. He too has been dumped this year and no one bothered to tell him, either. "I honestly don't care about my situation," Hadley said. "But with Alan it's an absolute ­insult. To invite someone as prominent as Alan to participate in this prestigious award and then to not even tell him on the eve of the judging that he's not required typifies how the NRL now runs its business. "The refereeing debacle we are now ex­periencing in the game is merely a reflection of the ineptitude of the entire organisation." 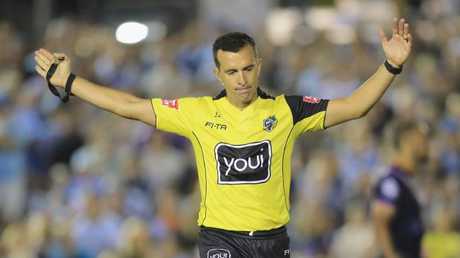 To treat Jones so disrespectfully says a lot about the NRL management and its terrible culture, which has forced the game's best referee Matt Cecchin to quit at the end of the season because of the toxic environment in the ranks. The culture that reduced touch judge Ricky McFarlane to tears when he was abused by an official at Shark Park the weekend before last for making an honest mistake. As for Puletua, he was in Singapore at this weekend's international rugby league love fest with Greenberg and Peter Beattie . This guy is also in charge of the NRL museum at Moore Park headquarters. There is a section that honours some of the great media contributors over the years - Rex Mossop, Frank Hyde, Col Pearce, John O'Reilly, Heads, Alan Clarkson, Tom Goodman and others. My late, great colleague Peter Frilingos is not there, 14 years after his death. That Puletua hasn't seen fit to honour "Chippy" best sums up the ignorance of the man. Jones did not return phone calls on Sunday. ● Disclaimer: Your columnist was also punted from the last Immortals panel.